Boiron, world leader in homeopathic medicines, is best known for its top-selling flu medicine, Oscillococcinum®, its Chestal® cough syrup, and its Arnicare® line of pain relievers. Oscillo® has been relied upon by families around the world for more than 75 years to nip flu-like symptoms in the bud. Boiron’s line of safe, natural children’s medicines, including Children’s Oscillo®, Children’s Chestal®, and Children’s Coldcalm® Pellets, work without causing side effects or interactions with other medications. Frontier Co-op Wholesale is a member-owned co-op committed to cooperative values, treating everyone fairly and having a positive impact in the world. While we’re proud to offer more than 10,000 natural and organic products (at low wholesale costs!) to help you live a clean, green and responsible lifestyle, this is about more than providing convenient online shopping. It’s about supporting fair business practices, living and sourcing sustainably and bringing wellness to people while respecting the needs of our planet. Similar to the HMN’s 7 fundamental ideals for parenting, our 7 co-op principles are the foundation of the way we conduct business – serving our members, partners and communities with integrity and fairness. We believe in making informed decisions so we can feel good about the choices we make and the broader impact of those choices. That’s why we’re proud to partner with brands and curate our product selection to align with our core values and reflect our company’s purpose. We know the path of living a mindful life isn’t always simple – there are times along the way when we all appreciate some guidance, support and inspiration. Frontier Co-op Wholesale is here for you on this path. Please visit us at wholesale.frontiercoop.com to learn about our mission and browse our product selection. EcoParent is a quarterly magazine for families interested in healthier, greener lifestyle choices. Food, fashion, books, travel, health & beauty, home & garden, and so much more await you! But we don’t just talk the talk. We carefully vet our advertisers to ensure they meet our green standards. And we print on uncoated, 100% post-consumer waste paper (that feels really good in your hand!). Because we care, and it matters. FMTV is more than just an online-streaming channel. It’s a destination where you can be guaranteed to find the best health documentaries out in the world. We personally search the globe for the most influential and life-changing films that exist because you deserve only the best! Natural living documentaries, expert interviews, recipes, and more! Enjoy a one-year subscription to FMTV Education as a Holistic Moms Network member! Mabel’s Labels is the best-known brand of durable labels for families, and our growing line of products features baby labels, child safety products, sports labels, household organizational labels and seasonal items. They’re extremely durable, they’re laundry, dishwasher and microwave safe – and they’re 100% guaranteed. Enjoy a free customized Birthday Party Label Pack when you join or renew your HMN membership! Purchasing Mabel’s Labels? Be sure to click the ‘Support a Fundraiser’ button on their website and select Holistic Moms Network as your ‘School/Organization’ to help raise funds for HMN! 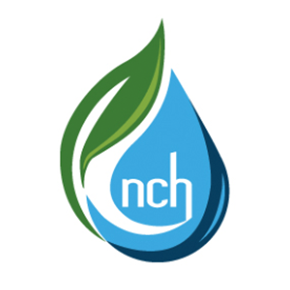 The National Center for Homeopathy (NCH) is a 501c3 non-profit organization dedicated to promoting health through homeopathy. Homeopathy is a form of natural, holistic medicine that works by healing the body rather than simply treating symptoms. We provide general education to the public about homeopathy, specific education to homeopathic practitioners, and work with a variety of governmental and non-governmental organizations and the media to make homeopathy understood and available throughout the United States. To find out more and to start using homeopathy to care for your family, please visit NCH website. Native Remedies is a leading natural choice for herbal and homeopathic remedies. Native Remedies is committed to preserving the balance of our environment by using sustainably, organically farmed or ethically wild crafted ingredients and the full spectrum method of extraction to maintain the plant’s natural integrity and balance. With products for everything from allergy and sinus to stress and anxiety, Native Remedies is committed to inspiring a natural approach to complete family wellness. We are always looking for sponsors and partners that are passionate about holistic health, gentle parenting, and natural living! Do you want to help support our like-minded communities across the country, and help provide resources for them both in person and online? The Holistic Moms Network organization has been building communities across the country for over 14 years, and we continue to expand and evolve to help meet the needs of those seeking out a more natural way of life. Holistic-minded moms are a growing and active force in the green and organic marketplace and are very loyal to the brands and businesses they love. We are educated consumers who look for labels, certifications, and products that meet our standards for living an organic, non-toxic, and sustainable lifestyle. We appreciate companies who share our commitment to natural living, health, and environmental sustainability. We welcome companies and organizations who share our mission and purpose to join us as a partner to help fund our efforts. The goal of our Sponsorship Program is to offer mutually-rewarding partnerships with green, holistic, and sustainable businesses and brands. 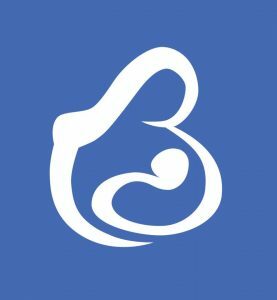 Please contact us at sponsorship@holisticmoms.org for more information about our various sponsorship and partnership opportunities. Please note: Community Sponsorship relationships are affiliations with like-minded businesses in a variety of holistic industries. Sponsorship does not automatically confer exclusivity within a specific genre or profession and, as with any promotional opportunity, HMN cannot guarantee results. We are honored to work with a number of sister organizations to share information and resources for natural living. Moms Across America is in the world to transform the food industry, environment, the health of America, and beyond. Our goal is to empower millions to educate themselves about GMOs and related toxins, to offer GMO free and organic solutions, and support local leaders to create healthy communities. Our motto is Empowered Moms, Healthy Kids. 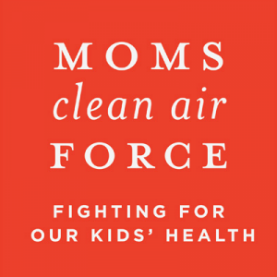 Moms Clean Air Force is a community of over 1,000,000 moms—and dads!—working together to combat air pollution, including the urgent crisis of our changing climate. The Holistic Moms Network is a community-building group. We believe in partnering with like-minded organizations to join our efforts to make a difference in the world! We work together with other organizations and customize our in-kind partnerships depending upon each organization’s structure. Please contact us at sponsorship@holisticmoms.org if you would like to work with us, or know of an organization that would be a great fit! Each year in October HMN holds the HMNRaising Online Auction to raise much-needed funds to drive awareness of our organization and vital work. As we continue to grow our community, the Holistic Moms Network aims to expand its reach to even more families across North America. Companies, individuals, organizations, and communities donate holistic, natural, and organic items, trips, show tickets, books, and more to our annual auction. The event is hosted on eBay and all proceeds go to our 501(c)(3) non-profit community. 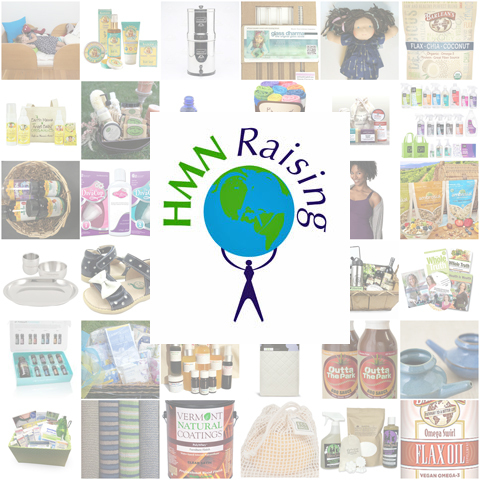 By pledging your merchandise, assortment of items (such as a gift basket), services, or a gift certificate, your company will be listed on the HMN website, and the auction is promoted through our social media channels and email lists. Our 11th annual auction will be taking place from Sunday, October 20th through Sunday, October 27th, 2019. If you donated last year, THANK YOU! If you would like to participate this year simply go to our Online Donation Form and make your pledge, or email us at auction@holisticmoms.org with any questions.